After a 2013 full of trips abroad to distant destinations I am enjoying a spring at home, photographing common wildlife and landscapes. 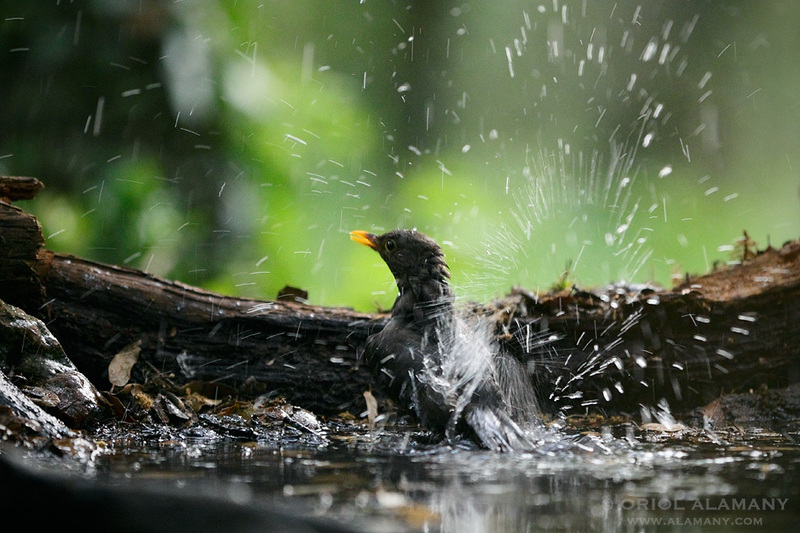 Here a female Blackbird (Turdus merula) enjoy a pleasant bath in the deep of a Holm Oak mediterranean forest. A magnificent picture, I like so much the sensation of movement that the droplets of water generate , and the surroundings have something familiar.